The body of a charismatic young man from the militancy-hit tribal belt in Pakistan found in the port city of Karachi last week was dubbed by police as a ‘terrorist’ by an infamous police chief, notorious for extra-judicial killings. 27-year-old Naqeebullah Mehsud, a father of three children, was supporting his family through a cloth shop in the suburbs of Karachi. Known for his passion for fashion and modelling, the police pictured a contrasting picture of the man as an extremist Tehreek-e-Taliban Pakistan militant involved in numerous high-profile terrorist attacks across the country. 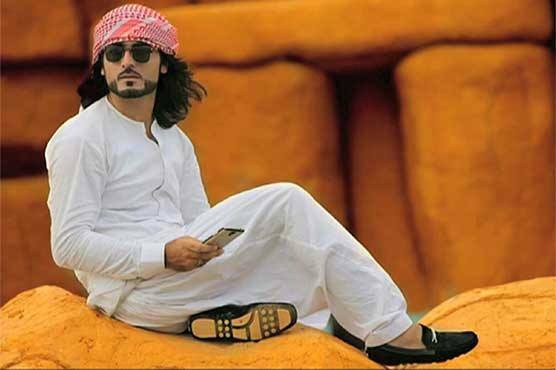 According to the friends and relatives of Mehsud, who had thousands of followers on his Facebook page, intelligence officials in plainclothes came and abducted him from a restaurant in Karachi on January 3, some 10 days before police said he was killed. Following which, on January 16, the family members were informed. Rao Anwar, Senior Superintendent of Police (SSP), has claimed Mehsud was wanted in many cases, and his family members should have reported his missing status to the police. Family and friends of Naqeebullah Mehsood accused Malir SSP Rao Anwar of killing the youth in a fake encounter in Karachi after kidnapping. The charisma of Mehsud has simply shed a spotlight on this chronic issue, which is not new in the system of governance, and particularly law enforcement in Pakistan. This is the moment for local and global human rights bodies to seize and hold the whole state responsible for turning a blind eye, or perhaps encouraging the law enforcement officials to have a license to kill suspects. Members of the Mehsud have been baring the brunt of militancy and military operation in their native areas for years now. Tragic killings such as that of a young Mehsud in Pakistan’s biggest city would only aggravate their feelings. The security agencies should not be tolerated under any pretext for bypassing legal systems, and denying the right of suspects to defend themselves until proven guilty. Otherwise, law of the jungle would prevail where might is right, and that means moving back to the Stone Age.